Before I was a Mom I always thought it to be weird that my Mom would need to wear pads because she might laugh too hard and pee a little. I thought that was so strange. That is...until I became a Mom. Now, whenever I am sick with a bad cough there is nothing worse that having to change your pants so many times because coughing led to leaking. 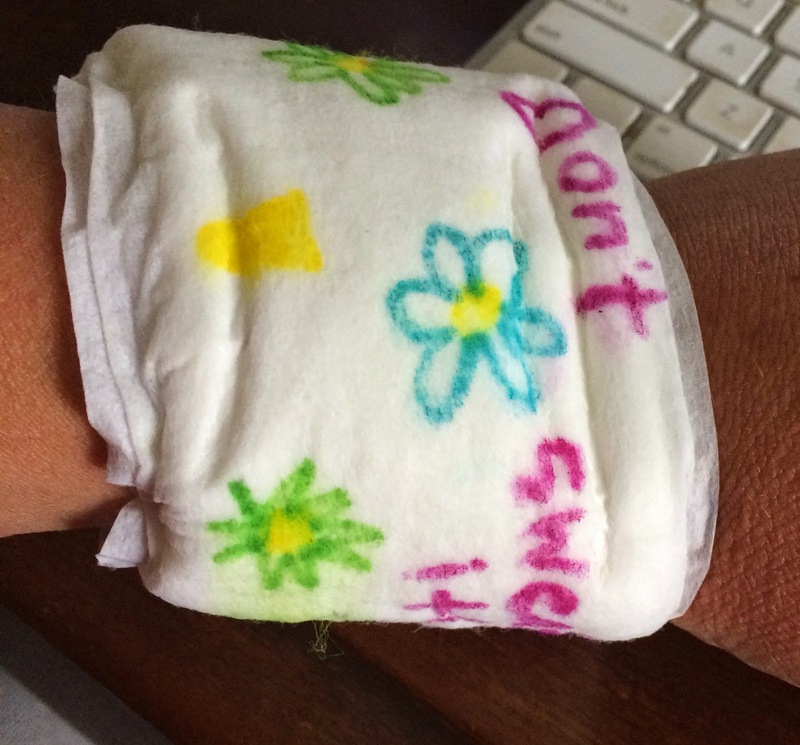 I always had a stash of "after birth" pads under the sink and they have never really helped with leakage. My husband thinks that there is a "problem" but I have told him that it is very normal and I can get passed it! I mean, after all, why would they make LBL pads if it wasn't normal? Did you know that 1 in 3 women suffer from Light Bladder Leakage (LBL)? -One in three women experience Light Bladder Leakage (LBL) – little leaks that can be triggered by everyday occurrences like coughing, sneezing, laughing and exercise. -Weak pelvic floor muscles, pregnancy, childbirth and weight gain are just a few LBL contributors. HOW CAN I BEST MANAGE MY LBL? Women deserve the best options for managing LBL. Whether you leak a little when you laugh, or sometimes have a sudden urge to go, Poise gives you one less thing to worry about any time of day or night. Their pads and liners are specifically designed for LBL, which makes them an easy choice for the 1 in 3 women affected with light bladder leaks. Stay fresh and confident with Poise® pads and liners. They're designed specifically for Light Bladder Leakage (LBL), which make them an easy choice for the women who experiences LBL. Designed to move with your body, new Poise Thin-Shape pads feature Super Absorbent Material (SAM) and a Thin-Flex design for extraordinary protection that’s still 3x drier than period pads† to help you take care of leaks with confidence. Women deserve the best options for managing LBL so Poise brand has introduced new Poise Thin-Shape pads, which are up to 40% thinner than original Poise brand pads and are made specifically for bladder leaks with the trusted absorbency of Poise brand. How would you like to try Poise Thin-Shaped Pads for yourself? Click HERE for a free sample! 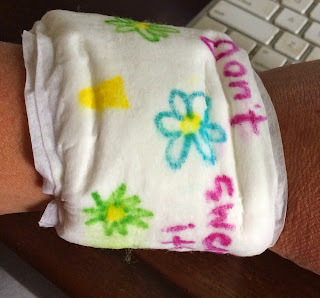 I made an absorbent bracelet to wear when I am cooking dinner. It says "Don't Sweat It" on it as a reminder not to let things bother me. Its also good for wiping the sweat from my brow when the kitchen gets hot! I LOVE this! Period pads should be for your periods. Or be used as sweat bracelets. ha ha ha! But seriously, thanks for all the info.